US Food Safety Corporation offers ServSafe training and certification and HACCP training at convenient locations and times in Massachusetts, New Hampshire, Rhode Island, Connecticut, and other states. ServSafe Food Protection Manager is nationally recognized for restaurants and food services. 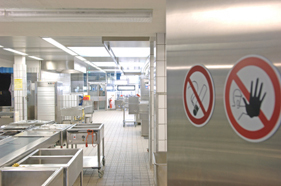 HACCP is required by federal regulation for certain types of food processors. Prometric Certified Professional Food Manager, accredited by the American National Standards Institute (ANSI) and recognized by the Conference for Food Protection, is also available. 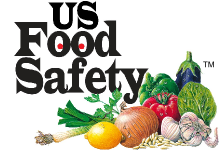 US Food Safety Corporation, located in Massachusetts, is the "go to" independent resource the trade trusts for reliable food safety information. Enroll for ServSafe or HACCP training today to keep your compliance safe for the future. It's the law in many states and local jurisdictions. ServSafe and HACCP group discounts and on-site training are available in Massachusetts, New Hampshire, Rhode Island, Connecticut, and other states. Contact US Food Safety Corporation for more information. US Food Safety Corporation accepts major credit cards and company checks. Sign-up for ServSafe or HACCP training now! Get certified today.